This powerful moisturising skin barrier serum is prepared through a unique 7-week infusion process to bring enhanced levels of pure botanicals and vitamins. Simply apply a few drops and gently massage in. This serum is a steroidal-free and natural alternative. 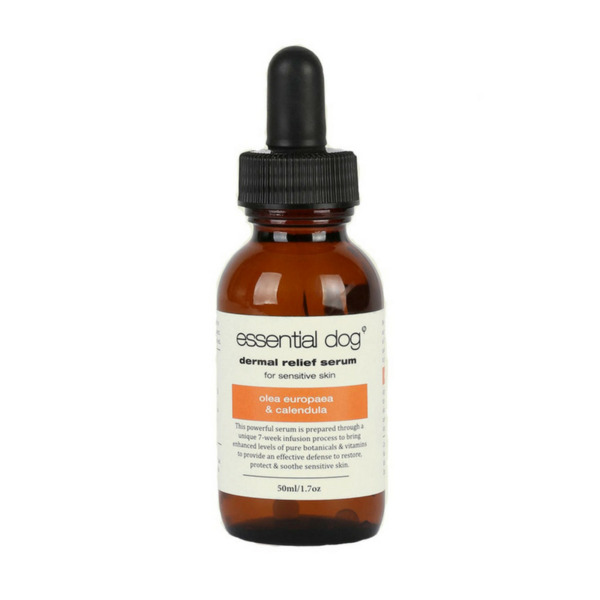 Due to the unique infusion process, this powerful oil is a bright orange colour and may leave a slight yellowish discolouration on white coats. This will come out within a day or two or after a wash. Ultra mild, cruelty free, plant derived, free from soap, sulphates, parabens & toxic chemicals. Contains: olea europaea fruit (olive) oil, natural tocopherols (natural vitamin e), calendula officinalis (calendula) whole flower extract & soya oil.